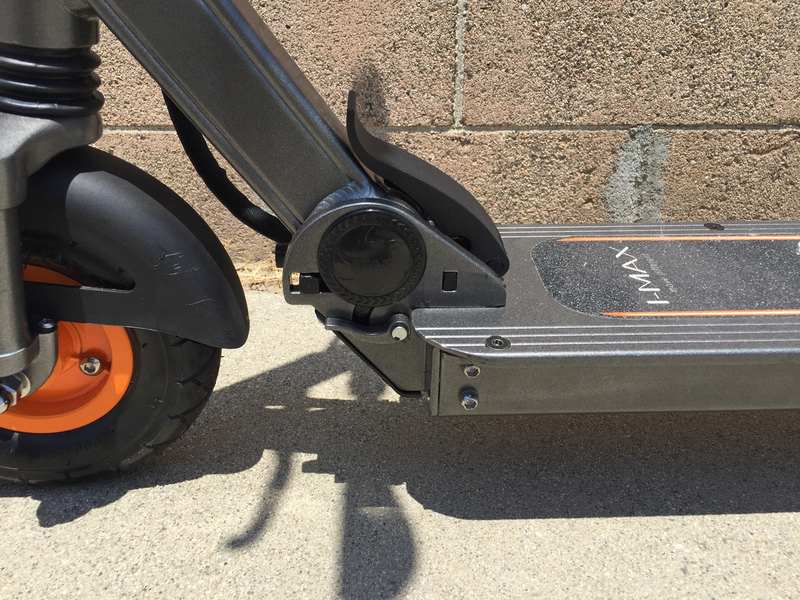 The I-MAX T3 is one of my favorite electric kick scooters on the market right now. It’s a high quality build with decent range and it’s fairly affordable at ~$1k. Compared to some of the other models I’ve tried it just feels smoother… that’s due to the larger eight inch wheels and air-filled front tire. The rear wheel is solid (with a sort of internally ribbed honeycomb structure) but the front uses a small schrader tube just like a bicycle. 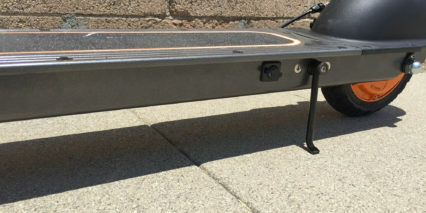 The deck is spacious and you can rest your rear foot on the hard plastic fender without dragging on the wheel or bumping the brakes. 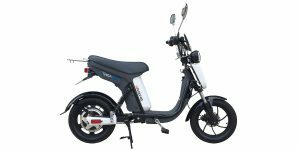 Many electric scooters offer regenerative braking, some only offer regenerative braking… but the T3 does not. 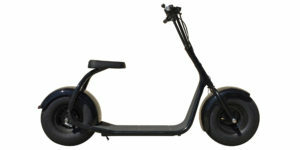 That isn’t such a bad thing though, with this e-scooter you get a solid mechanical disc brake in the rear. 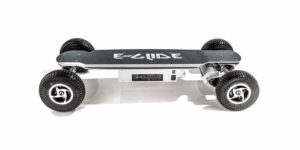 It’s sturdy, works even if the battery is completely full (where regen might not) and allows you to do some fun skids) as shown in the video review above. At ~33 lbs this isn’t the lightest unit but it’s still portable and the folding mechanisms all feel solid without being too frustrating to use. I was able to unfold the unit with one hand (and my foot) while filming and that’s not always possible. I especially like the handle bars which aren’t spring loaded and instead opt for little sliding cuffs that feel magnetic. Aside from the ride quality, my favorite part about this unit is the five drive modes that help you limit power and speed. 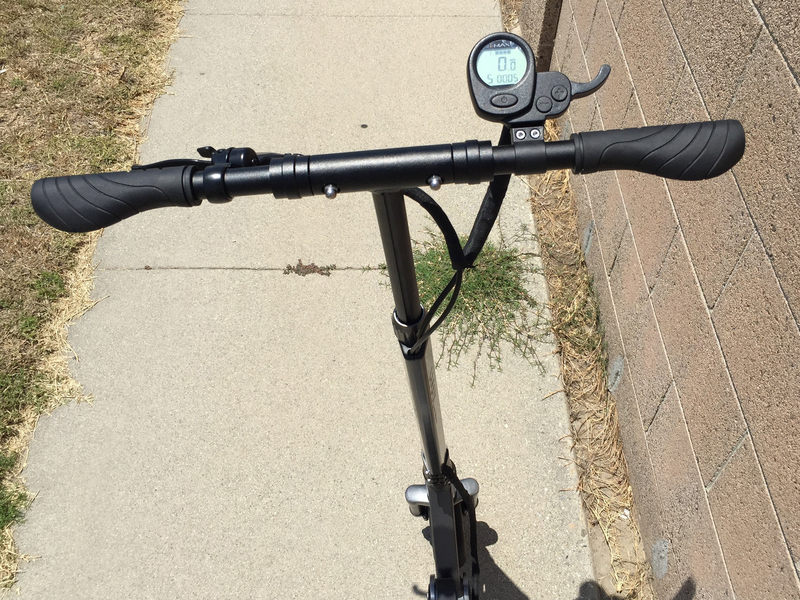 It can be thrilling to hit 18 mph (the top speed of this unit) but that’s not always what you want… in crowded spaces or while carrying gear for example. 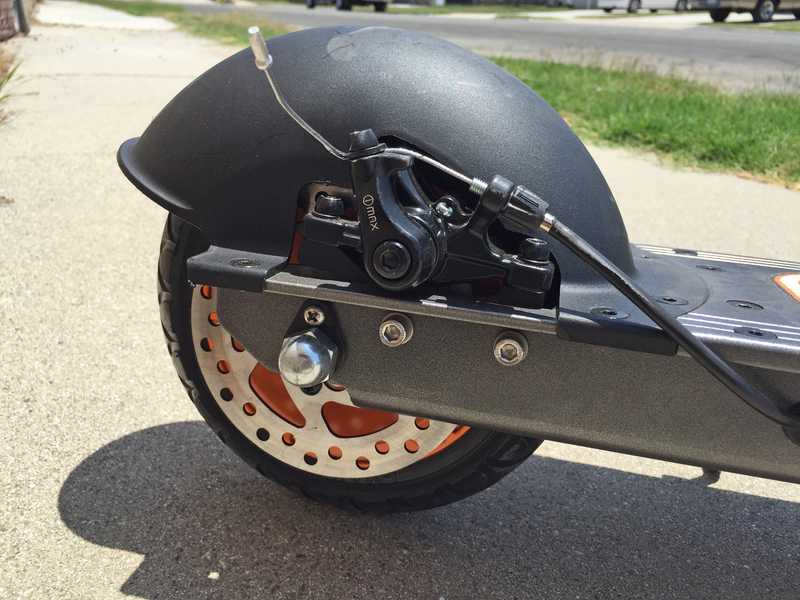 Driving the I-MAX T3 is a standard 250 watt gearless hub motor built into the rear wheel. It’s fairly quiet and likely very durable because it doesn’t contain any moving parts (aside from the bearings). For me it felt zippy and even performed in grass so I’m assuming short hills would be doable if you approach with some speed, but I’m not especially heavy at ~135 lbs so take this with a grain of salt. 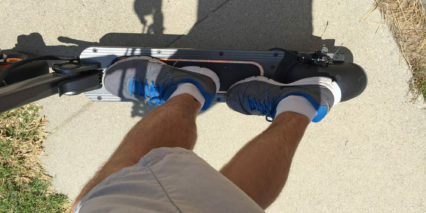 Some electric kick scooters position the motor in the front wheel and this makes for shorter wires (for power and braking) but also makes lifting the unit, like up and over curbs, a bit awkward and heavy. I like having the motor in the back here because you can easily lift the front and it offers lighter, faster steering while also enabling the inflated front tire for comfort. 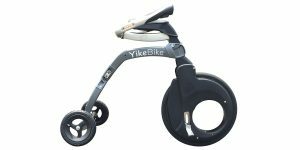 I haven’t seen any kick scooters with ~8″ wheels that have inflated tires on the same wheel as the motor so I’m not going to complain about the “harder” rear wheel. One benefit from the solid rubber design there is that you won’t ever get a flat and you can skid more before requiring a replacement tire. Also located in the rear is a small kickstand which is handy for storage. There’s also the mechanical disc brake unit in the back. I think the rotor size is 140 mm but wasn’t able to confirm, it’s small but very effective at stopping the small wheel. To reduce skidding and stop quicker I recommend leaning back when you apply the brakes so more weight goes into the rear wheel which can increase friction. 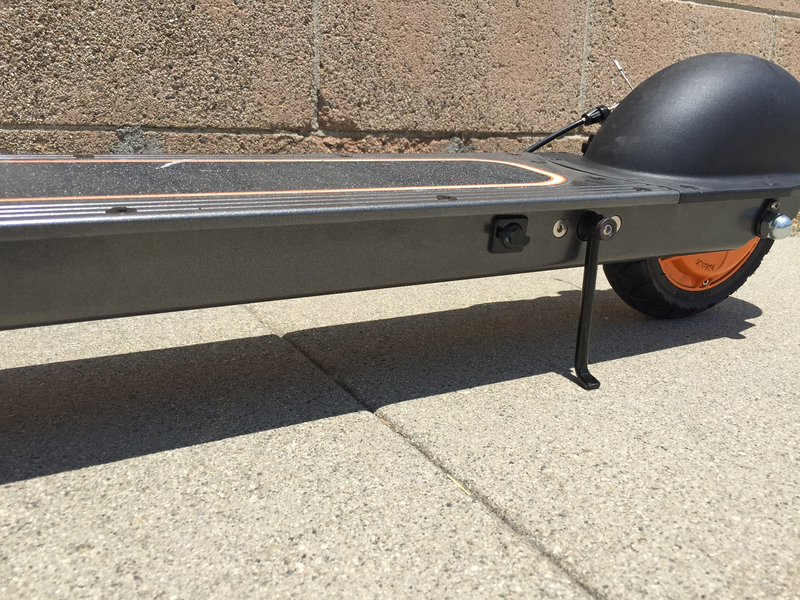 Powering this electric kick scooter is a relatively large 36 volt 10 amp hour battery pack stored inside the deck. 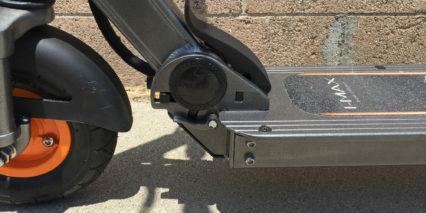 It’s well protected in there and also keeps the center of gravity low, much like other kick scooters I’ve tried. 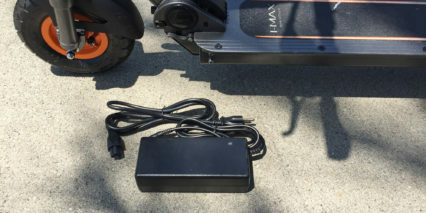 I was told that the pack can be replaced (along with tires and other parts) but that it’s not designed to be charged separately from the scooter itself. Given the compact folding design and light weight of this unit it’s best to simply bring the whole thing inside with you wherever you go. There’s a small charging port towards the back left end of the deck and it has a little plastic cap to keep the innards clean. I didn’t seen an obvious place to loop a lock through the I-MAX T3 but possibly just above and behind the front wheel could work if you use a u-lock that’s short. Passersby could turn it on but you aren’t able to activate the motor unless the unit is moving 2+ mph. 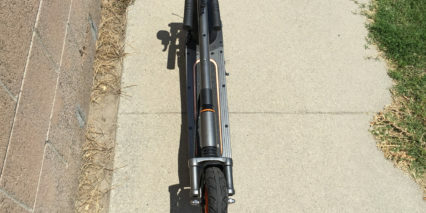 This is a safety feature that helps to prevent accidental acceleration while lifting the unit and some full sized electric bikes do the same thing. Getting back to the batteries, it consists of Lithium-ion cells that are relatively light and long lasting (like in a laptop) and they come with a one year warranty (along with the rest of the unit) which is pretty solid in my opinion. 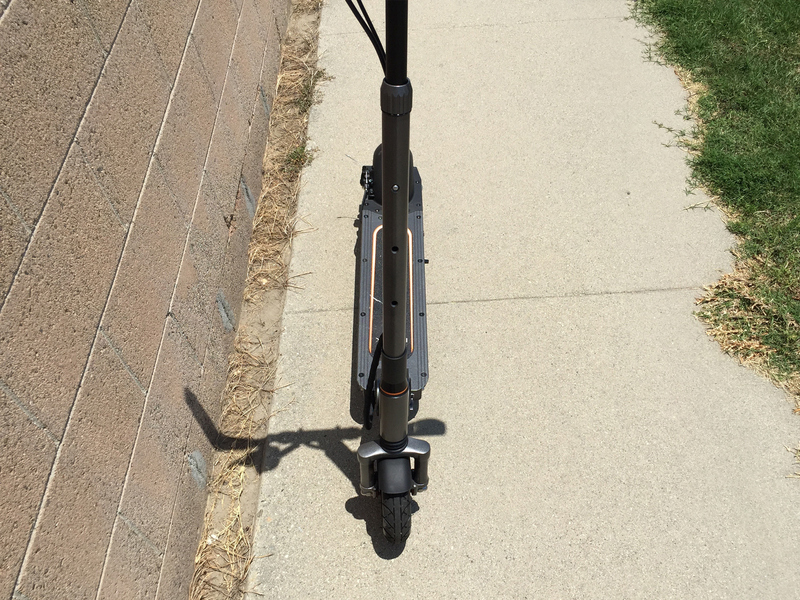 Most scooters I test that resemble the T3 offer smaller capacity with ~8 amp hours or less but with 10 here you should get increased range and that’s especially true if you ride at slower speeds which is much easier to do here thanks to the variable speed settings. I love the display, throttle, grips and brake lever on this thing… It’s all clean, easy to understand, full of utility and very comfortable! 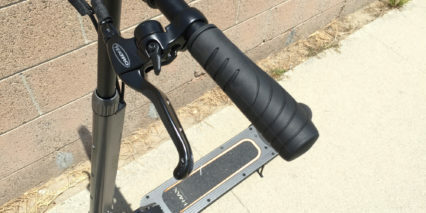 You’ve got a throttle on the right side and a brake on the left, this reduces wire clutter but definitely gets the job done for riding and stopping (considering the light weight and lower speeds achieved vs. a full sized ebike). The display is large and easy to interpret with a limited number of readouts (battery, speed, power mode, odometer) and I LOVE the five levels. As mentioned earlier, being able to ride at a lower speed with less power can extend your range and make the whole thing feel more stable. In the video you can see my handle shaking at higher speeds as I rode with just one hand to film and this is exactly when it’s nice to be able to slow down. 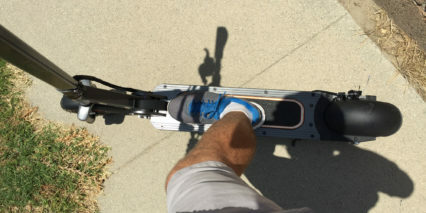 Sure, other electric kick scooters can also go slow but you have to control this with your finger by pulling more gently on the throttle. That can get tiresome and is more prone to accidental bursts of acceleration if you hit a bump or lose your grip. 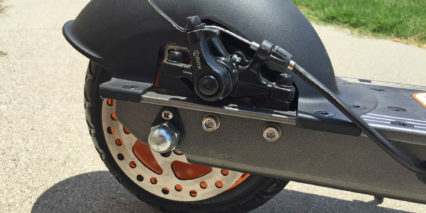 In addition to the soft rubber grips (which feature a nice comfortable ergonomic design) there’s also a bell integrated into the left brake lever and a motor inhibitor. These extra features improve safety and the bell is more enjoyable than an electronic chirp in my opinion… plus, it works even when the unit is turned off. On this topic, I want to point out that there’s a bit of cogging which slows the rear wheel when coasting. 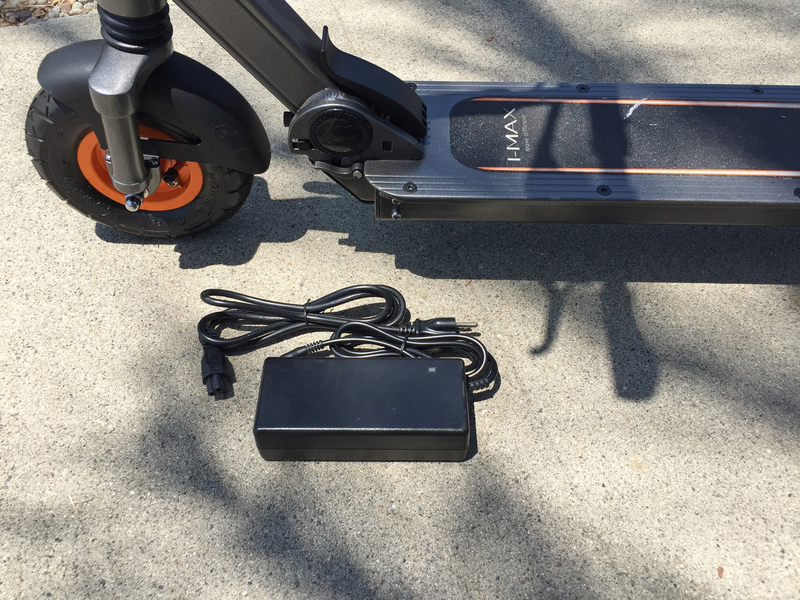 This is common on most of the scooters I try and not a huge deal but definitely not fun if you run out of juice… consider taking along the portable ~1.5 lb charger to top the scooter off if you intend to ride longer distances. It charges fairly quickly. There are no lights here but you can always get something to stick on your helmet or backpack if you ride in the dark regularly. 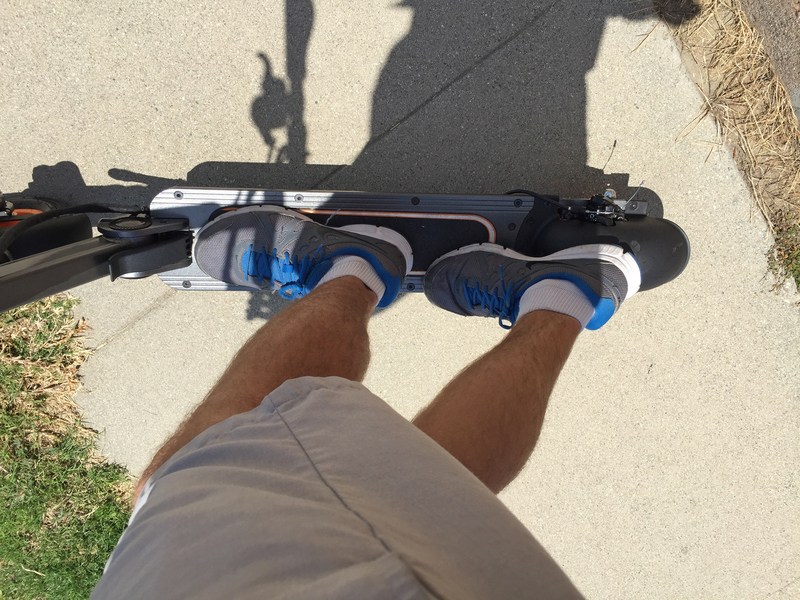 I really enjoyed the I-MAX T3 electric kick scooter. 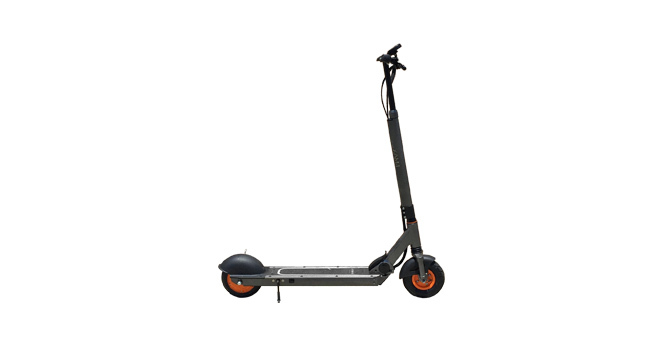 All of these light electric transport type scooters are handy due to their light weight and compact size because you can easily carry them up stairs, toss them into your trunk or carry onto the subway but not all of them feel great or handle well. I have often felt scrunched and unstable because of a small deck or nervous because of a touchy throttle but those issues don’t manifest here. I love that you can get white or dark metallic gray and that there’s a one year warranty with replacement parts available! There’s room for improvement with some lights and maybe a front brake but that might impact price and add clutter. I didn’t miss regen and would expect to get more range based on the larger battery than the addition of the fancier energy-capturing system (which tend to be inefficient at ~10%). 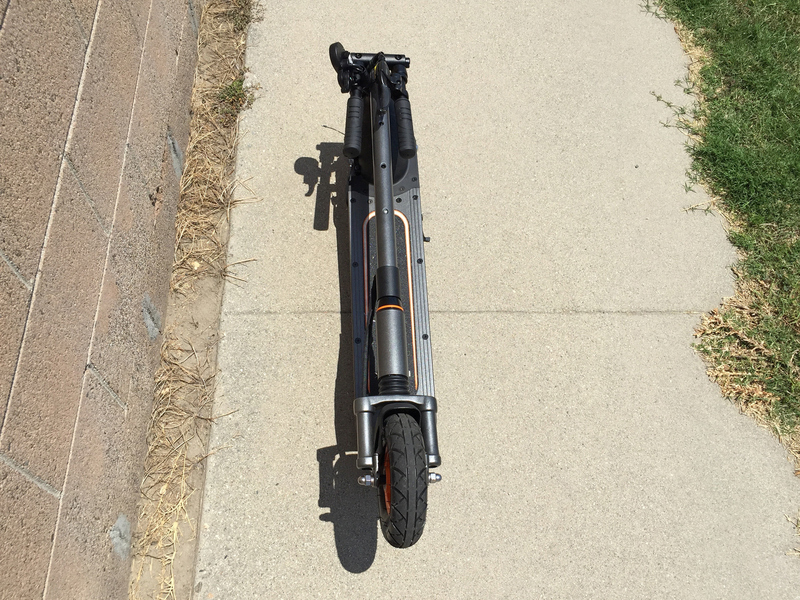 If you’re looking for something a bit more comfortable to commute with and are willing to take a slight risk of puncture with the inflated front tire vs. the harder all-rubber found on models like the lighter E-Twow Booster then the T3 might be a great fit. It would probably be my first choice at this stage. Also, do you know when the Glion 100 would be avaiable? Great reviews! I was wondering if you might know the clearance from the ground to the bottom of the board on this and on the eTwow you reviewed. 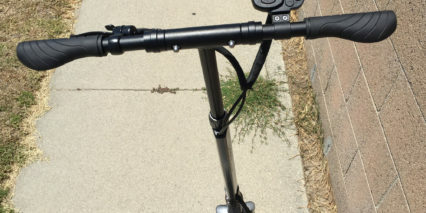 I have in the past used an eZip 4.5 scooter with a 3″ clearance, and I am looking for a lighter unit that can offer the same clearance. 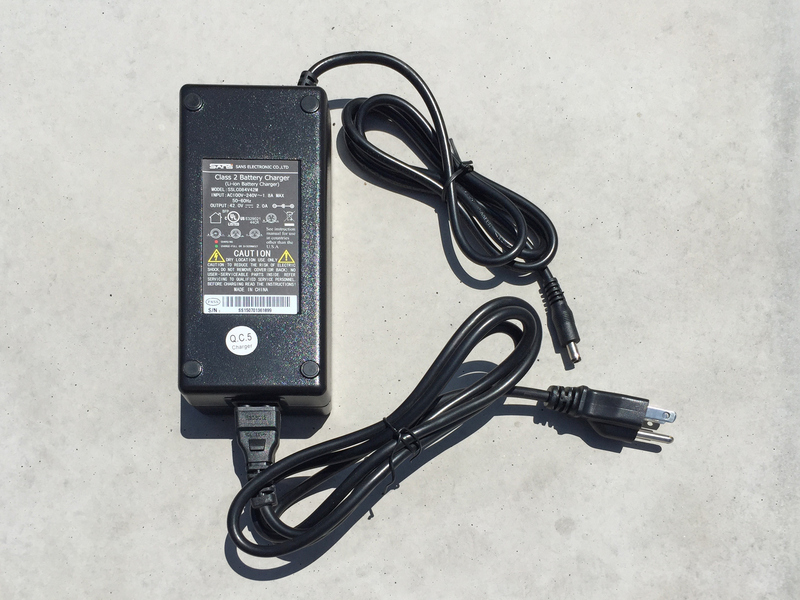 I’ve used the eZip 4.5 at Burning Man, and last year had to have extra batteries charging off-board to ensure I always had juice. 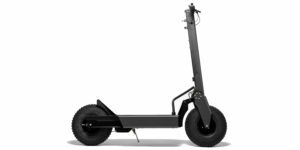 Do you know of any scooters that are as light, fast, range-y as the eTwow, charge off-board if needed, and have a 3″ clearance? Great question Kevin! I’ll focus on ground clearance going forward but didn’t measure that with either review. I think the I-MAX could work at Burning Man but doesn’t have the larger inflated tires like some of the eZip scooters, I saw a lot of those at the Burn this year and they worked out pretty well. Posted a short video with some of the light electric vehicles I saw here. Great review! Any idea when this will be available in the US? I just pre-ordered the Magnum imax T3 from Jesse at Magnum Bikes – 10/05/2015 Got Grey, shipping included $999, shipping early next week. Based largely on ERR review. Awesome! Thanks for the props Jeff, glad the website helped you out :D I’d love to hear back after you’ve had a chance to ride around and feel it out. My rides are always somewhat limited and the terrain is pretty basic. How do you plan on using yours? Did you just go to their website to get it or find a local shop who was selling them? Jeff – I am curious how you made the purchase – phone or site? I can’t seem to find a way to order. Thanks again! 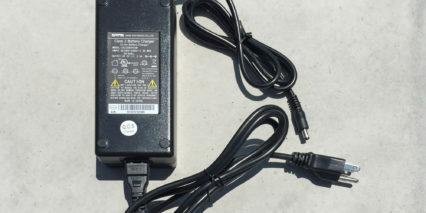 I’ve been speaking with the manufacturer of the eTwow and it has 2.5″ clearance, though I still don’t know if I can buy spare batteries and charge them off-board (like the eZip). Moving forward, could you consider clearance and availability to charge spare batteries off-board? Great work! 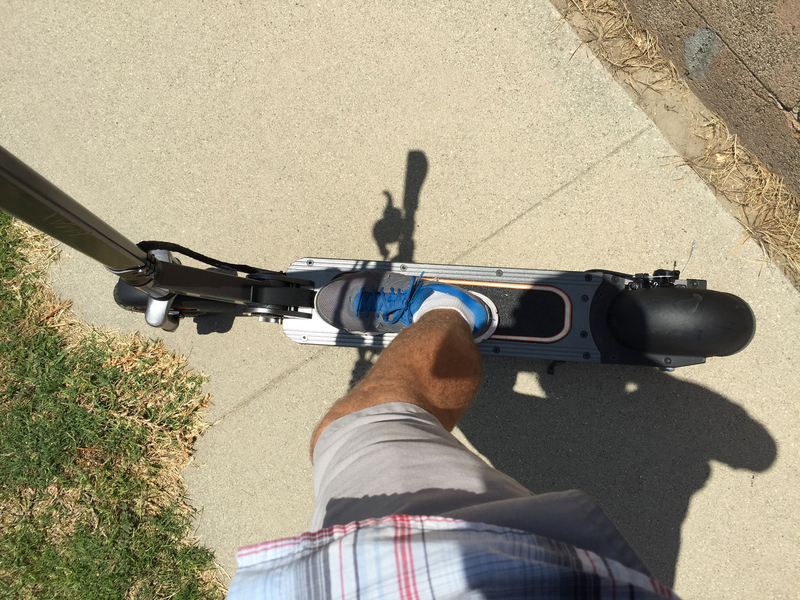 Yeah, both great points… I usually call out the charging-separately thing and rarely see kick scooters that make it easy. Usually the battery is semi-permanently sealed into the deck with a bunch of screws and some insulation to keep water out. I feel like that might be the case for the I-MAX T3 here based on my photos and memory of it. Court, I thought you did a thorough enough review to persuade me and your comparison/scoring of the etwow and ecoreco m3 convinced me. Was almost going to purchase the m3. Your one handed videos while riding the scooter are amazing. My one concern is that I weigh a lot more than you and while there are no steep hills on my commute, I am hoping not to have to pedal. My commuting needs are classic multi-modal – drive from home 10 miles to AMTRAK station then 75 miles south to Union Station, DC then 2 miles to my office across Independence Ave from the Smithsonian “Castle”. My motivation is that I’ve been taking the DC Metrorail for the last leg but that commute is concerning. The system is overwhelmed by users and not adequately maintained. The platforms were designed and built 40 years ago and are dangerously inadequate, especially the red line on crowded days. Imagine the crush of passengers pushing in opposite directions along the narrow platform and no railings! Hope to make this my last mile solution. Court, your reviews are wonderful. Thank you so much for sharing your passion with us. Do you get the sense that Magnum Bikes, the vendor of this product, is a legitimate company? They appear to be located in Israel or maybe France but the domain is registered to a Hong Kong address. I would love to purchase this model but something doesn’t feel right about my email excahanges with them. Court, It’s scheduled to be delivered on Thursday, 10/22, so I will know soon. There is one fairly steep rise during my last mile from Union Station to work at Dept of Energy, 1000 Independence Ave SW. Actually on the return trip from work to Union station, where I pass the Capitol Building, but I can find a traverse route to avoid pedaling; many pedestrian paths by the Capitol. Regarding comfort level purchasing from Magnum Bikes, I had that concern but after speaking with Jesse about availability, cost, and delivery, I felt adequately reassured. 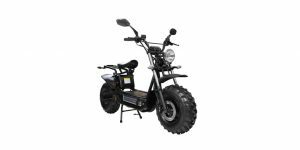 Jesse said the scooters were in stock, and were being shipped the beginning of next week, 10/12. I ordered on 10/5, received a PayPal confirmation email immediately and have since received, 10/16, a UPS tracking number which shows scooter in transit, scheduled to arrive 10/22. Court, you are a gentleman and a scholar! Thanks again for your insight. I’ll let you know if I proceed with the I-MAX. Court, Haven’t commuted with it yet. I’ll have to do some weight training first. I weighed it….33.5 lbs but adds up for my commute. I’m thinking mostly walk alongside it when not riding but I do have to lift it up and down into the train steps which are steeper than OSHA code. The scooter rides just as you described. Very comfortable and handles beautifully around our cul-de-sac. Much easier to handle than my folder. Only tried level 3 and averaged about 12mph. Comfortable, stable, very solid. Coo! Thanks for the quick update Jeff, good luck with the weight training. Take your time, enjoy and be safe! I’ve overtrained a couple of times and ended up with a stiff neck and back. I tend to ease into it now and do more reps at lower weight. Great reviews! Thanks for all the thought you put into these – really helps in giving us a clear picture of how these devices perform. One question about this model in particular – the handlebar width appears to be wider than other models you have tested (Glion, E-Twow), which would impart greater stability. Is that actually the case here? Based on the geometry measurements listed above for unfolded dimensions, the E-Twow and this are identical, but that doesn’t seem to be the case from the images/video. Thanks! Hi Seth, glad the articles and videos have helped! I’m not really sure on the width but based on my pictures it does appear that the I-MAX has a wider handle bar… I looked very closely and it appears that the right grip is sticking out an inch or two more than the left so that might be part of the difference, maybe the grip wasn’t all the way on? 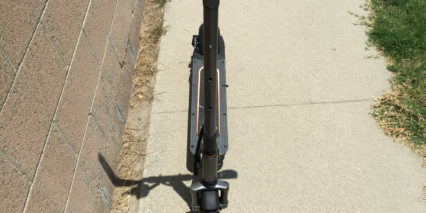 The T3 felt very stable by comparison to some other electric kick scooters I’ve tried and a big part of that is the larger wheels and solid rear fender (that you can stand on). 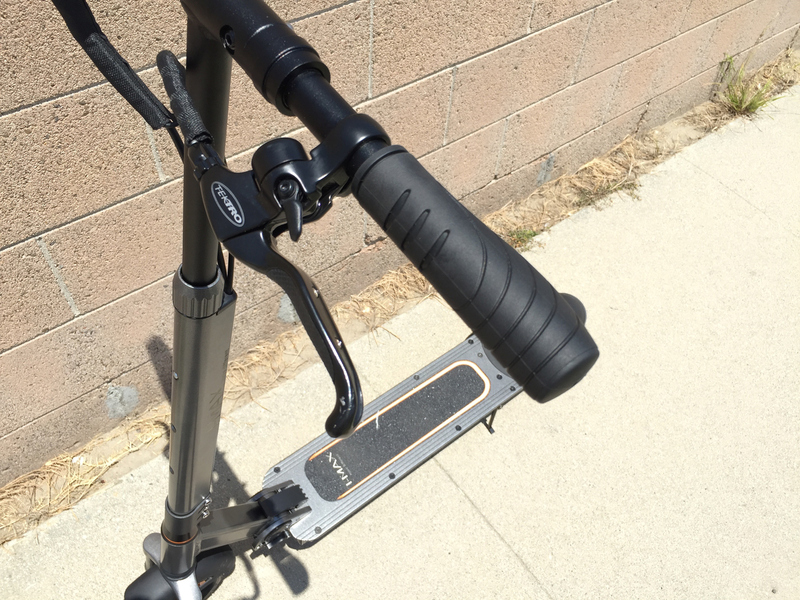 This was one of my favorite kick scooters so far but the Glion is also solid (having the same sort of rear fender). The E-Twow by comparison, had large wheels a neat brake feature but actually felt less comfortable to me because of the limited deck space. 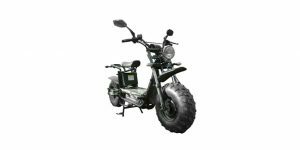 We desperately need a review on the bigger S1 model with the 500 Watt motor. Cool review! I have a question. I own e-twow. 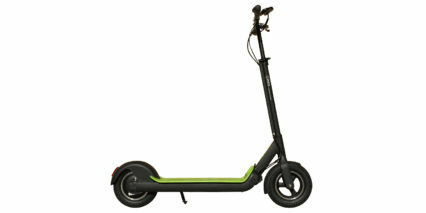 I think it is a great electric scooter and use it for everyday commute. However, there is a steep downhill road on the way and I fell off the scooter and got injured a few weeks ago. E-twow scooter failed to fully stop in such steep road. Do you think I-max T3 can handle this? 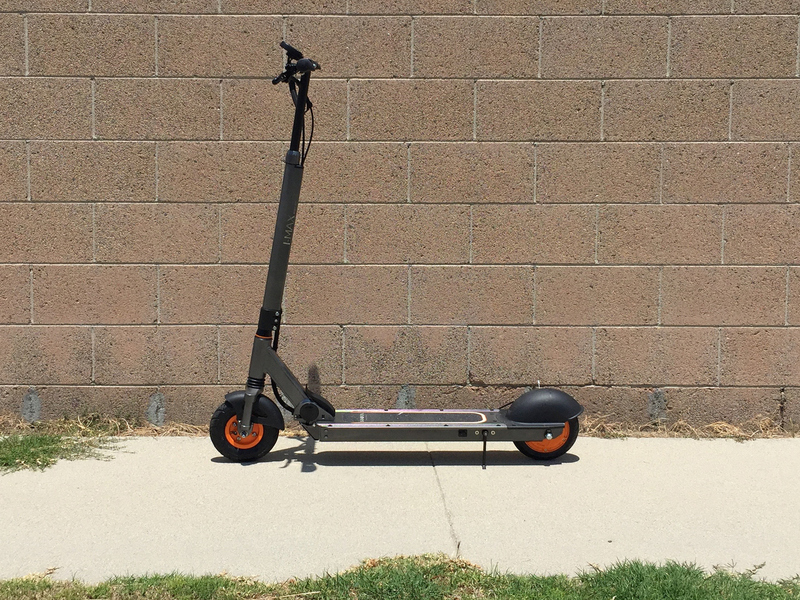 Do you know of any safe electric scooter in the market when it comes to riding downhill? 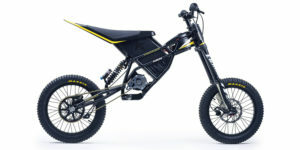 Or should I consider electric bikes instead? Bummer Dustin! sorry to hear about the accident, hope you’re healing up alright :/ the brakes on many electric scooters are limited in power but the I-MAX felt pretty good to me as well as the Glion which uses regeneration (but also limits speed to ~15.5 mph) as someone who has also crashed on this sort of thing, my best strategy has just been to go a bit slower or brake steadily while descending. how does this compare to the eco reco m3/m5? i currently have the m5. eco reco is going to have a front pneumatic tire soon. 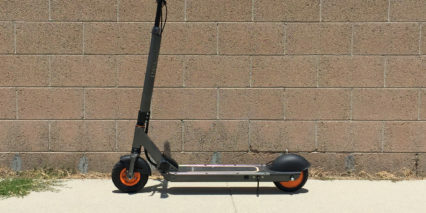 I have done research for the past few days and narrowed down selections to two scooters: I-MAX T3 or S1 and Momas. S1 and Momas both have 10” wheels and pneumatic tires. Which one do you think would be better? Thanks for all these reviews, Court! They’ve been a huge help. I ended up going with the S1+ after finding the T3 to not be powerful enough for the hills on my commute, here’s a video I created. Hi! Your site and YouTube channel are awesome. Your thorough reviews made me buy an I-MAX T3. It is a very good piece of design and engineering. I have a comment and a question. Comment: I think your review didn’t mention the fact that there is a USB port on the controller, just like the S1. Maybe you can add it to the written review or to the specs section. Question: I’ve only driven the scooter for 2 miles. However, I’ve already noticed something that has not been mentioned anywhere, and I’m unsure whether it is normal (some kind of safety feature) or not. It seems that the accelerator randomly stops responding. If I release it and press it again, it responds normally and immediately. This has happened to me in the 3rd and 5th power setting, at speeds > 10mph. At first I thought that the brake’s motor inhibitor might be misfiring. But I tested it by running the scooter at full throttle and pressing the brake just a bit, and the inhibitor does not fire. I also pressed the brake until the inhibitor fired, and released it. It responded normally. 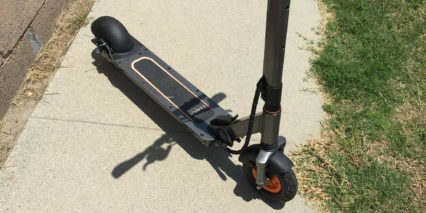 Based on your experience with a bunch of different scooters, do you know what this could be? I’ll keep using it and noting what happens, and let you know if I find a cause. Thanks! Thanks for the heads up Sam! I wonder if the version you got is a year newer than the one I covered or if they have added the USB to an iterative update? In any case, I do sometimes miss little details so thanks for chiming in! Also, it sounds like there could be a software glitch or some wonky control feature causing the accelerator random stops. I have no idea what to say, would only be guessing at a problem. Maybe contact the shop you got it from or reach out to I-MAX directly. 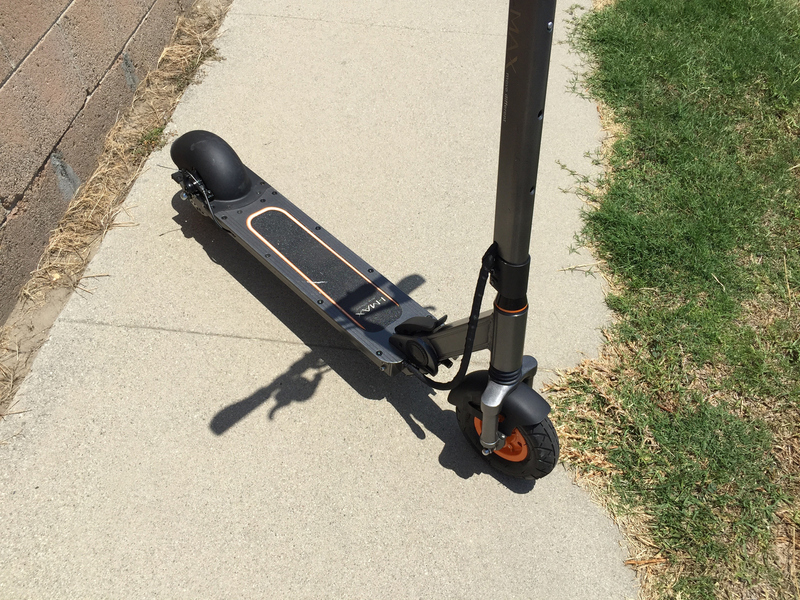 I would LOVE to hear what you find out on your own, I have experienced similar things on other scooters randomly myself but have not owned a product long enough to really understand what was happening or how frequent it was so I don’t always include it in my reviews. I’m not sure I even remember which product had this but your story sounds familiar. Hi! I appreciate your review of the Momas and the I max. It gave me a very good insight and what to expect from both models. I am from Mumbai, India. 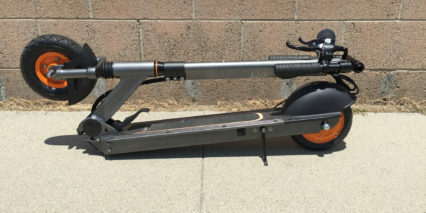 I was seriously considering to buy a compact, foldable electric scooter for my daily commute to office. I take around 1.30 hrs by car to cover a distance of 4 kms.!! 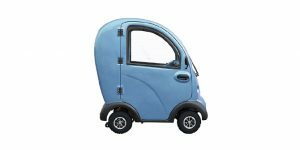 I am looking at a model that 1. is light weight and can be tucked under my desk at work, 2. can be charged quickly (or last a single journey of 5 kms. ), 3. stand comfortably with both feet either on the side or back to back, 4. offers spares and repair support in Mumbai and 5. can be shipped to Mumbai. 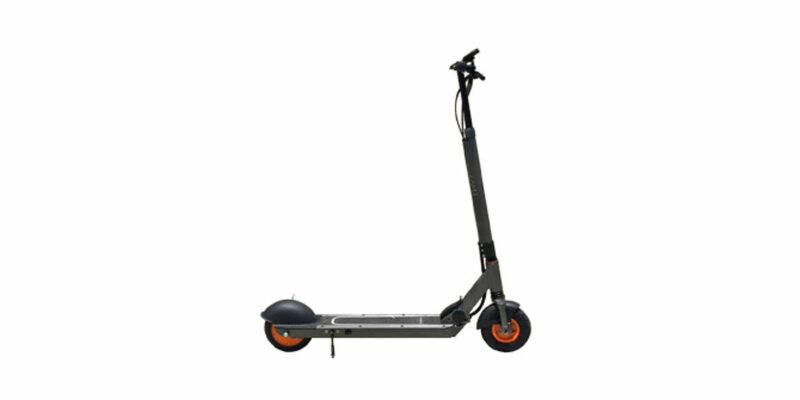 I have seen some Chinese non-branded models and the Airwheel Z5. However, their reviews are not so great with complaints of all kinds. Hello Hanish! I would definitely recommend the I-MAX for durability and and quality but cannot say whether it (or any of the other e-scooters I’ve reviewed) will be able to ship to you. It would be best to contact each company and ask, I link to their official websites at the bottom of each review to help guide you. I’d love to hear back from you if I-MAX will ship to India, otherwise you might have to go with a cheaper model available locally. I love your reviews. 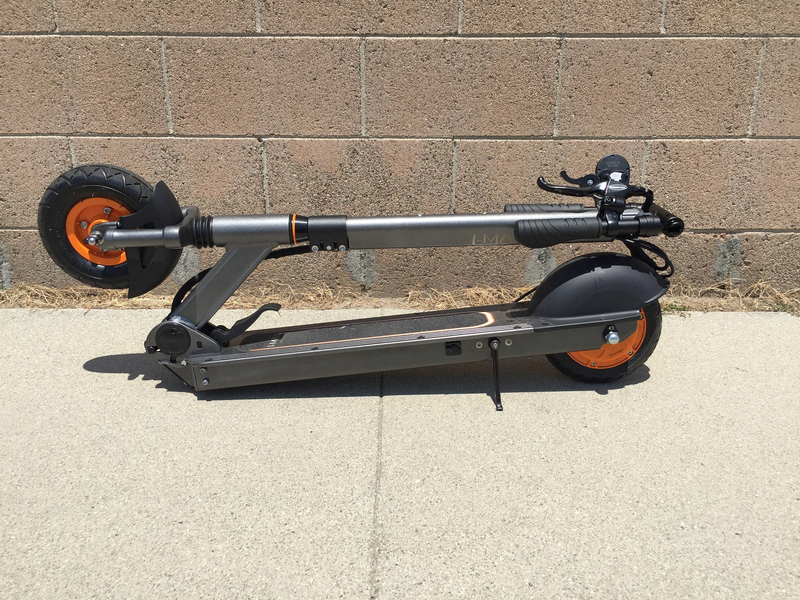 I recently purchased the eon scooter pro 8inch version with the 20ah battery on Indiegogo. Waiting for it to ship. Will you be reviewing them? 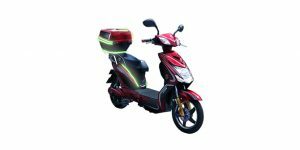 Would love to get your take on eon scooters. Your review is so much detailed and nice. Thank you. Then, I purchased one. However, I came across an error, “Err4” which shows up on the monitor (speed meter). Actually, the escooter does not work now. I cannot find any troubleshoot for this error even in the instruction book provided from the seller. Could you advise how to solve it?